Bill Quay is a small primary school located in the east of Gateshead near the River Tyne. Built in 1877, the school is one of the oldest in Gateshead and retains lots of its original Victorian features. There are currently 213 pupils aged 4 -11 years on roll. 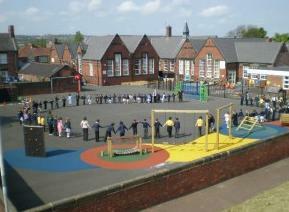 The school draws pupils from a wide area, including Pelaw, Hebburn and Wardley. There is also an outstanding Pre-School on site, offering sessional or full day care for pupils aged 3-5 years. The school has space for our pupils to enjoy both inside and out, including a wonderful wildlife garden, large school field and allotment area that has been developed with the help of the local community.